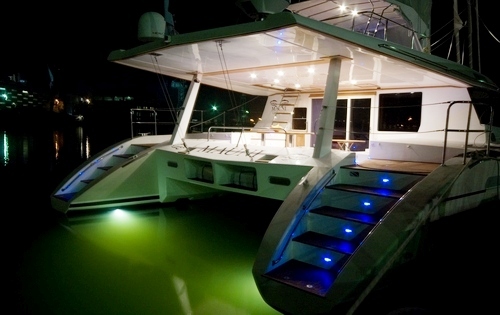 Luxury Charter Yacht MAUNI is a Sunreef 60 launched in 2006. 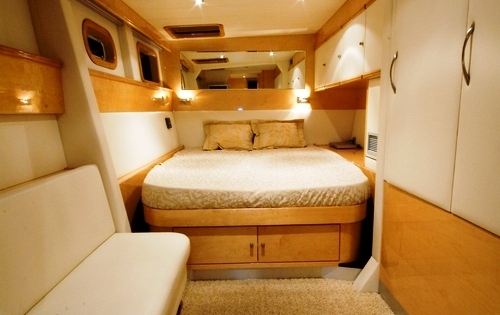 Sailing Catamaran MAUNI is an owner’s version of the Sunreef 60 offering a complete hull master cabin including a large bed, lounge and a large bathroom. 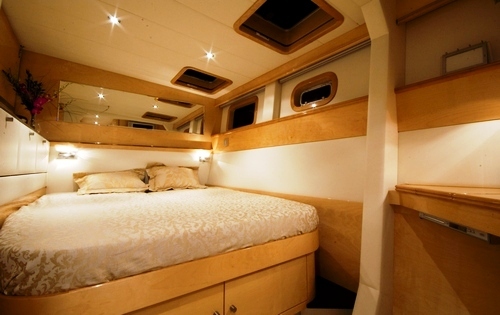 Two additional double cabins occupy the second hull to offered splendidly comfortable accommodation for 6 guests. 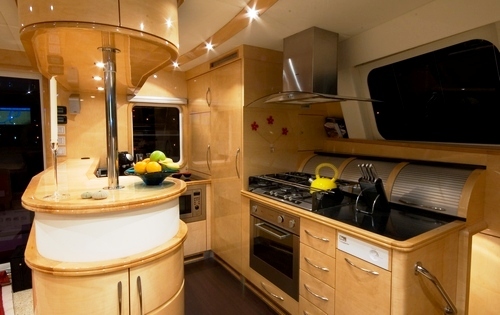 The Sunreef 60 MAUNI has a beautifully appointed interior combining contemporary design and elegance. Her interior decor is calming and neutral with splashes of lively colour. The usage of Finnish birch tastefully combined with light leather elements gives a lasting impression of elegance. 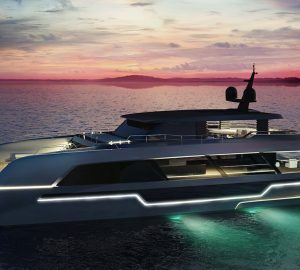 The Sunreef 60 charter yacht MAUNI is the ideal charter yacht for those wishing to combine luxury cruising with Adventure. Based in Central America MAUNI is available this year in Belize, Costa Rica, Cuba and the Caribbean. 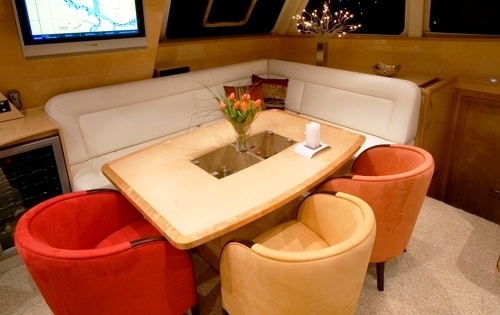 Her two professional crew look forward to welcoming you onboard for an unforgettable yacht charter experience. 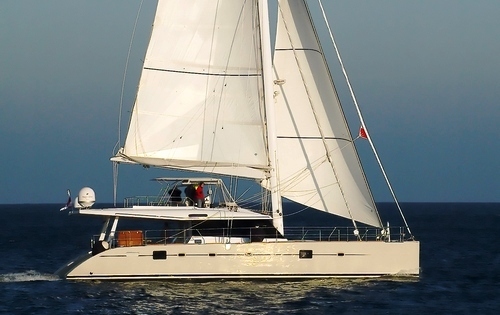 The Sailing Catamaran Sunreef 62 MAUNI offers comfortable accommodation for 6 guests in: 1 spacious master cabin which takes up one entire hull and includes a large ensuite bathroom and lounge area. 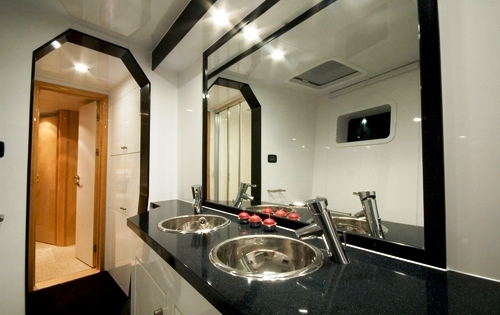 2 further cabins include 1 double cabin and 1 double cabin with pullman bed, each with their own ensuite. 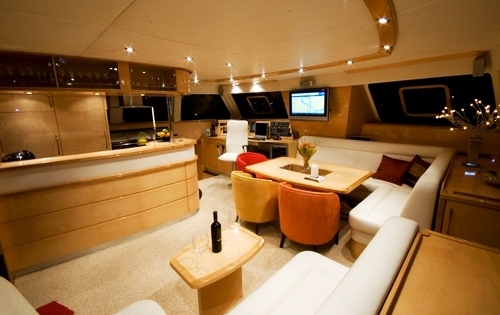 Charter Yacht MAUNI Sunreef 60 has the following tenders & toys including: Water Skis - Adult, Wakeboard, Kayaks - 1 Man, Snorkel Gear, Fishing Gear, Water Skis – Kids. Communications equipment includes: satellite phone and internet. 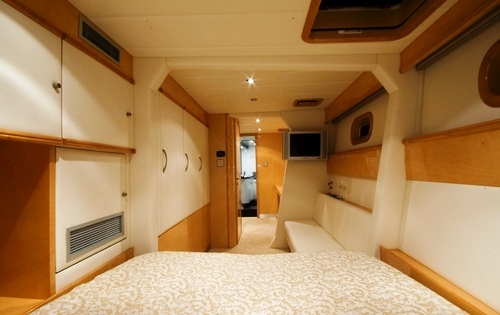 Audio Visual Equipment includes: Play station, full home cinema, plasma TV, DVD and stereo in each cabin, Satellite TV. 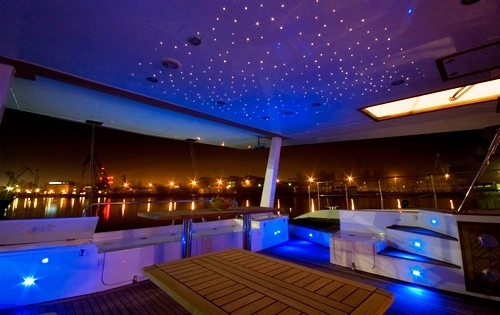 Other deck equipment includes electrical blinders in salon and cabins, Automatic lights.